If you are an programmer or a novice and you have been wishing to develop apps for the iPad, iPhone and other apple products, this is the best time to kickstart that interest in motion. With announcement of iOS 7 being in the works, the Apple Store is being on an exponential growth, lagging far behind from your goal is the last thing you need to do. You need to be on a par with the technology development. The good thing about iOS app development is that there are a lot of amazing and easy to use services and tools. These, can help you on becoming a success in developing apps for the apple market. Apps that can be run on both iPads and iPhones If you have amazing app ideas and with the right determination, you can become very successful in selling iOS applications. 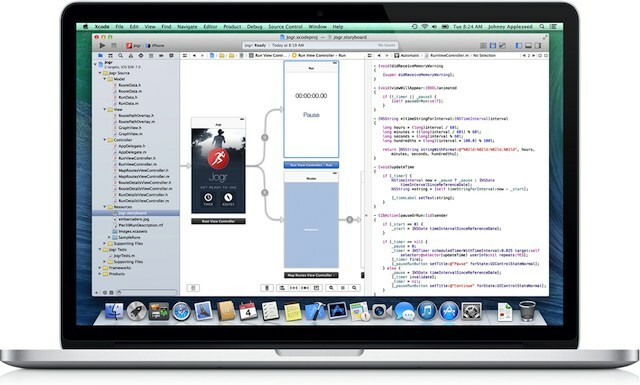 Here is an essential guide to use as a starting point in developing a successful iOS apps. The first thing you need to do for you to develop an app is to set up a development environment. To do this, you need to select between various development platforms. In Mac, the the official development development platform for iOs is the the Xcode which you can easily get and download from the Apple developers site. With this, you can begin coding your application. However, if you are looking forward to having the application featuring in the Apple store, you need to get a developers license at a price of around $99 by joining apple development program. This does not mean you cannot develop your app, you can, it only that you cannot release them to the market. Apart from Xcode, you can also make use of Corona as a development platform. The major differences between these two platforms is that while the official SDK is based on objective-C programming language, the Corona is based on Lua. Also, if you are looking forward to also developing apps for android devices, Corona offer you support for that which the case if you were to use Xcode. After setting up the development environment, the next thing to do is to look for tutorials on how to go about the development process. These, will provide you with step by step guide on how to write the code, best practices, tips and tricks to get you up to speed with coding. There are a lot of resources online that you can use for reference purposes in case you get stuck. It is good practice to take a look at apples guidelines when developing apps. Since you are looking forward to having them being featured in the store, make it a habit to download similar apps from the store and have a look at how they have developed their UI. More are the times when you will find it easier to come up with great app UIs after looking at what others have done and adding their features to your design. For you to run your new app on an iPad or iPhone, you need to get a developers certificate and set up a profile on the iPad/iPhone. With this done, you can upload and run your app on actual device and be able to see bugs that my need fixing. Once you are through with the testing and debugging, you can submit the app in the store and have it available for all other users across the globe to use. Awesome post Raphael!! Keep us informed.